Branch Meeting, 18 July, 2015. William Ryan, Private 13088, Royal Dublin Fusiliers. Died of Wounds, 18 July, 1915. His Battalion, 1 Royal Dublin Fusiliers, were one of the first ashore on the peninsula on 25 April, on 30 April, having suffered horrendous casualties they were merged with the surviving members of the 1 Royal Munster Fusiliers, who had been equally decimated in the preceding five days. While this had been happening, William was still on his way to the area. 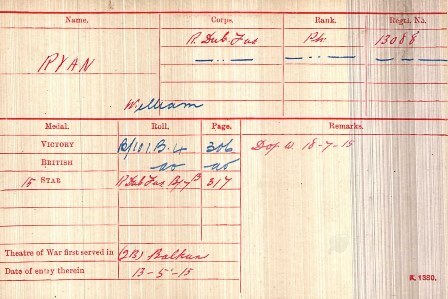 His Medal Index Card records that he entered the Balkans War Theatre on 13 May, 1915. The 1 Royal Dublin and 1 Royal Munster Fusiliers, resumed their separate identities on 19 May, following the arrival of replacements, and so this is presumably when William joined up with the battalion. Almost two months later to the day, 18 July, 1915, William is reported to have died of wounds. 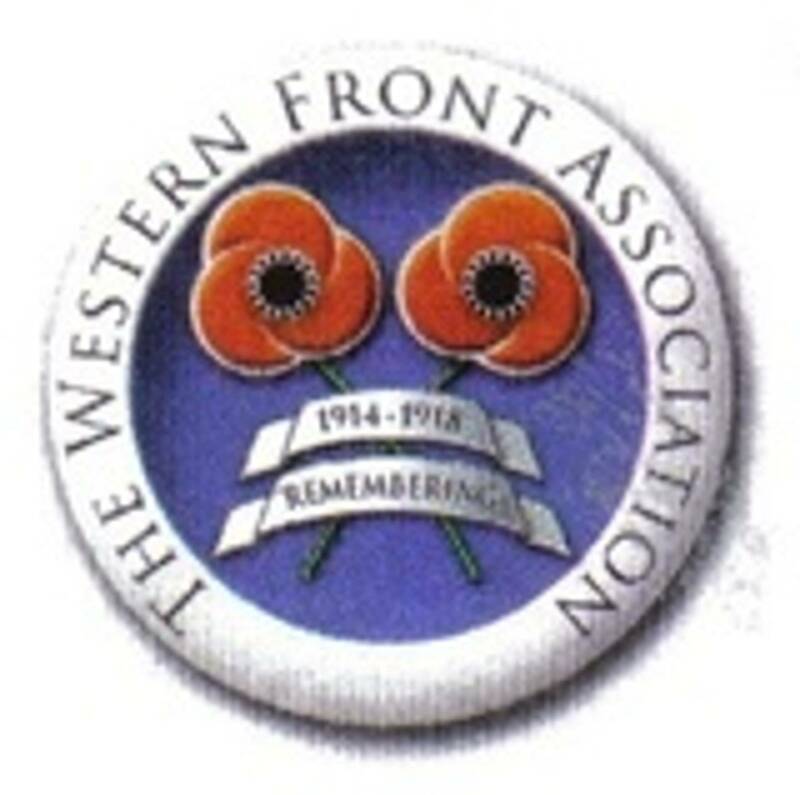 William was entitled to the 1915 Star and the British War and Victory medals. He has no known grave and is remembered on the Helles Memorial. 1. CWGC gives his age at the time of his death as 28, however, the entry that I have found on the 1911 Irish Census, which I believe is for him, gives his age at that time as 26, meaning he would have been 30 at the time of his death. 2. His wife?s name was Bridget, and her address on GWGC is 11 James St, Dublin. 3. The War Diary of the 1 RDF appeals to be missing for the period 10 April to 19 July, 1915. 4. Assuming that I have the correct 1911 Census entry for William, as well as his wife, he also left two daughters, Mary, born 1908, and Bridget, born 1911.